Found 2 file extension associations related to ShadowProtect and 2 file formats developed specifically for use with ShadowProtect. 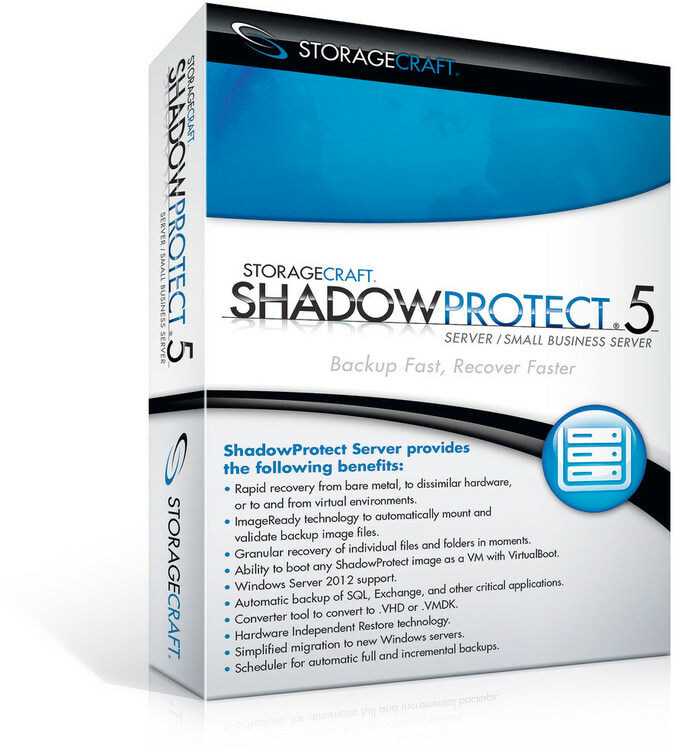 StorageCraft ShadowProtect Desktop Edition provides quick and reliable disaster recovery, system migration and data protection for Windows desktops and laptops. ShadowProtect Desktop Edition provides hardware independent restore for physical to physical system (P2P) recovery. ShadowProtect Desktop also supports conversion from physical systems to virtual environments (P2V), virtual environments to physical systems (V2P) and virtual environments to virtual environments (V2V). ShadowProtect Desktop Edition is very complementary to VMWare™ Workstation and Microsoft™ Virtual PC for quick and reliable disaster recovery. VMWare Workstation 6.0 includes full support for ShadowProtect backup image files for simple conversion from physical systems to virtual environments. Supports Windows 2000, XP and Vista. Bare metal recovery of Windows desktops and laptops in minutes. environments (P2V, V2P and V2V). Hardware independent restore of backup images to different systems (P2P). Schedule automatic full and incremental backups. Bootable recovery CD provides automatic hardware detection and network support. Simple view to quickly recover files and folders or update backup images. Compress and encrypt backup images for efficiency and security. Save backup images to USB, Firewire, NAS, SAN or any network location. ShadowProtect provides an easy to use scheduler so that point-in-time backups can be taken automatically while you work. Schedule full or incremental backups of your system and data. Save backups to any location ShadowProtect backup can be saved to USB, FireWire, an attached storage device or network location. View backup files for quick file and folder recovery ShadowProtect point-in-time backups can be assigned a drive letter as a read-write or read-only volume. The mounting features of ShadowProtect allow you to restore files and folders or update an existing point-in-time backup. Perform remote or bare metal system recovery The ShadowProtect Recovery CD allows you to perform a bare metal system restore in minutes. The Recovery CD features allow you to remotely recover your system and data without physically visiting the system. If you need more information please contact the developers of ShadowProtect (StorageCraft Technology Corporation), or check out their product website.